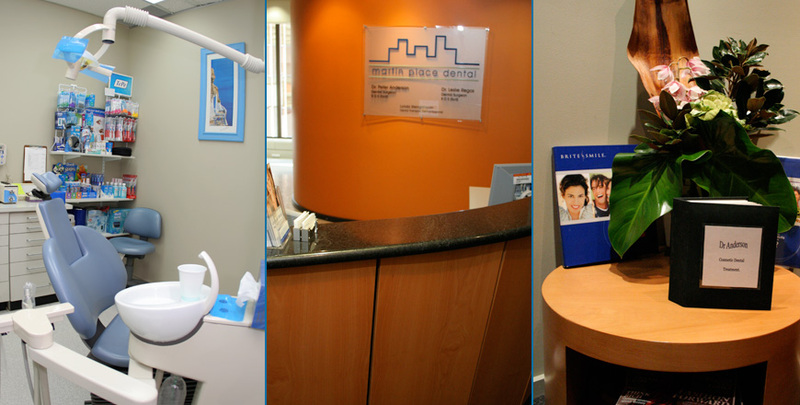 Martin Place Dental - Sydney Dentist - Hicaps now available! Our modern Sydney dental surgery is located on the 12th floor of 14 Martin Place with great views towards the Pitt St Mall. 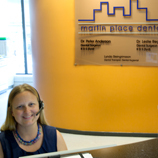 At Martin Place Dental, we are dedicated to your family’s total dental care. 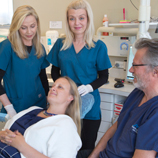 Dr Peter Anderson and Dr Leslie Regos, along with a specialised team, offer a range of cosmetic dental services including Cerec porcelain inlays; crown and bridge work; root canal therapy; tooth whitening, and implant crown placement. Our highly skilled Dental Hygienist Lynda Steingrimsson is our specialist in preventative dental care as well as issues such as periodontal disease. Routine check-ups every 6-12 months with your dentist Dr Anderson, Dr Regos, or your dental hygienist Lynda are of great importance when it comes to maintaining good oral health. These regular visits ensure that any dental issues you may not be aware of are taken care of before they progress into serious ailments like an infection. If dental issues are ignored, it is inevitable that they may require time-consuming and expensive dental treatments. 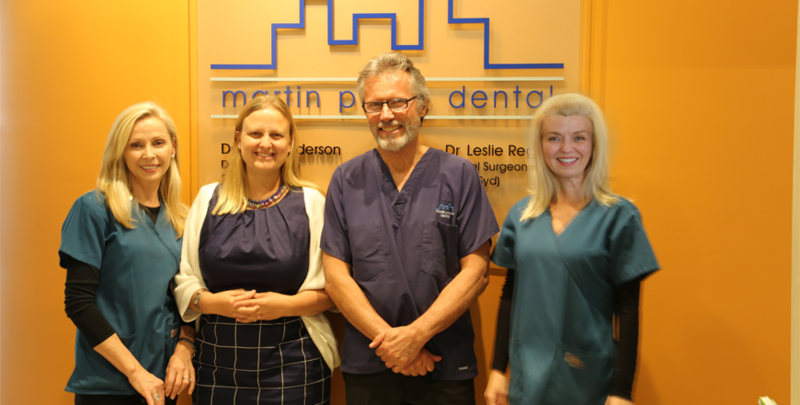 Should you be interested in improving the look of your smile, there are many things that Martin Place Dental can offer. Missing tooth replacement can be achieved by placing either an implant or a bridge. If you are after a whiter smile, tooth whitening can be a very economical way to achieve this – it can also be done in the privacy of your own home! If you’re wanting Veneers, Martin Place Dental can also place these on your front teeth to improve your smile. Please call the surgery for an appointment today! 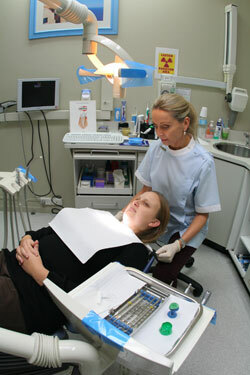 Sydney Dental Clinic Emergency and new patients welcome Same day appointments.